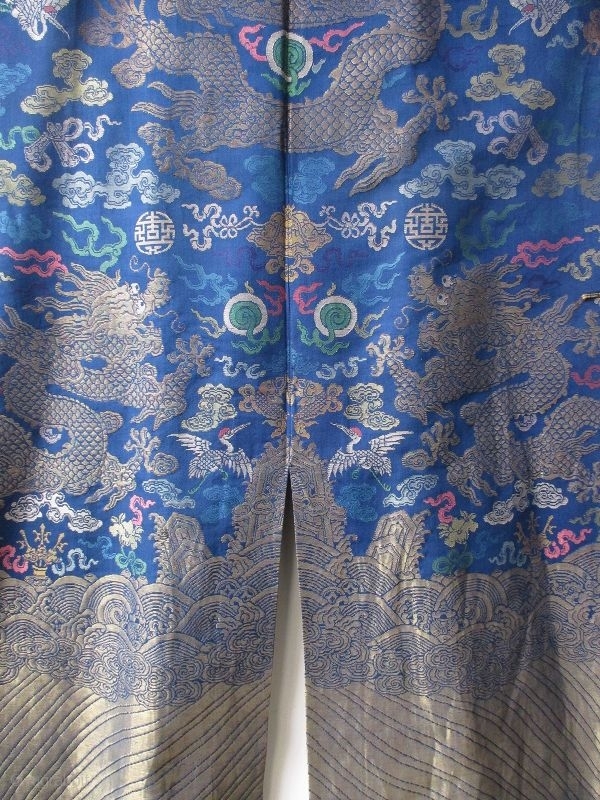 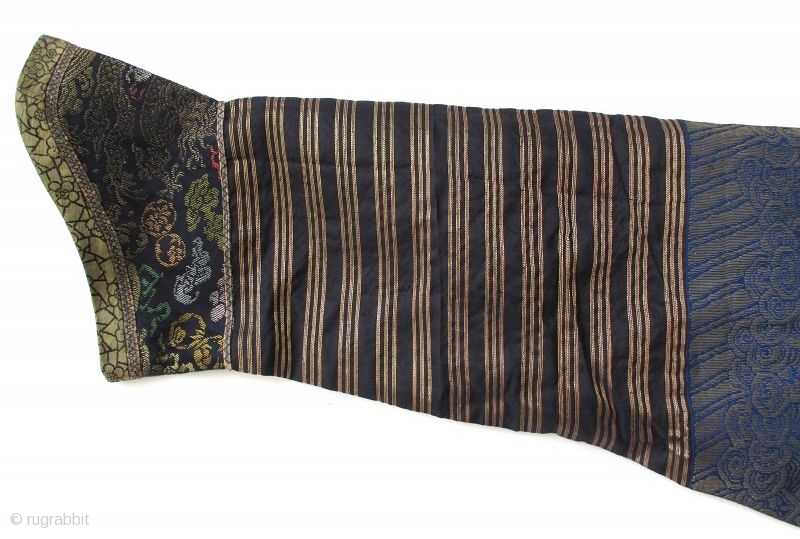 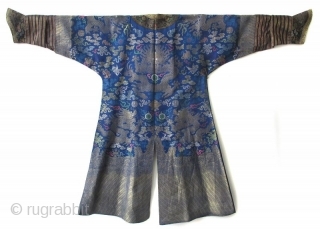 Antique Chinese dragon robe woven with 8 dragons (3 on the front, 3 on the back, and 1 on each shoulder). 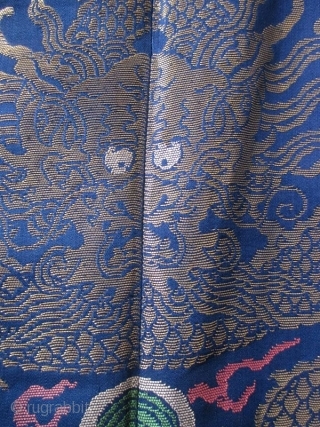 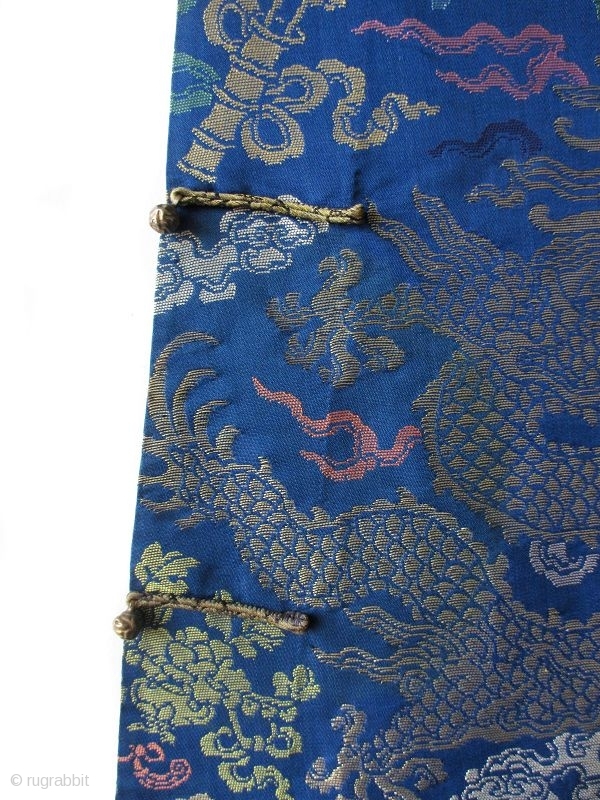 Dragons and Taoist symbols woven in gold and colors on a blue silk ground. 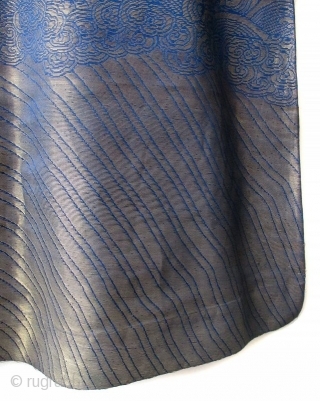 Lined in gorgeous blue silk. 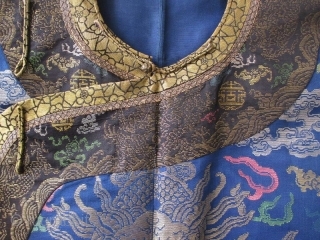 The Qing dynasty, officially the Great Qing, was the last imperial dynasty of China. 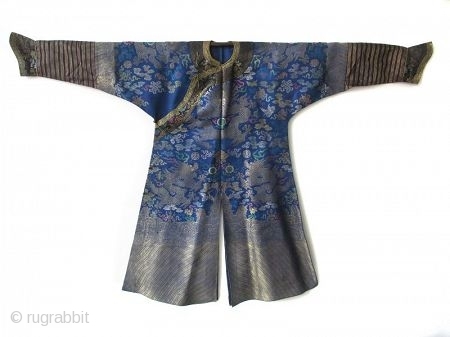 It was established in 1636, and ruled China proper from 1644 to 1912. 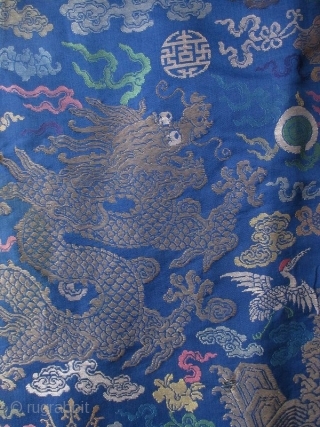 It was preceded by the Ming dynasty and succeeded by the Republic of China. 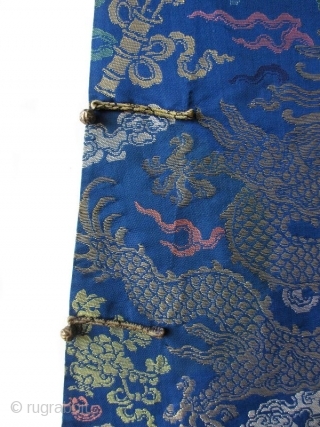 The Qing multi-cultural empire lasted for almost three centuries and formed the territorial base for modern China. It was the fifth largest empire in world history. 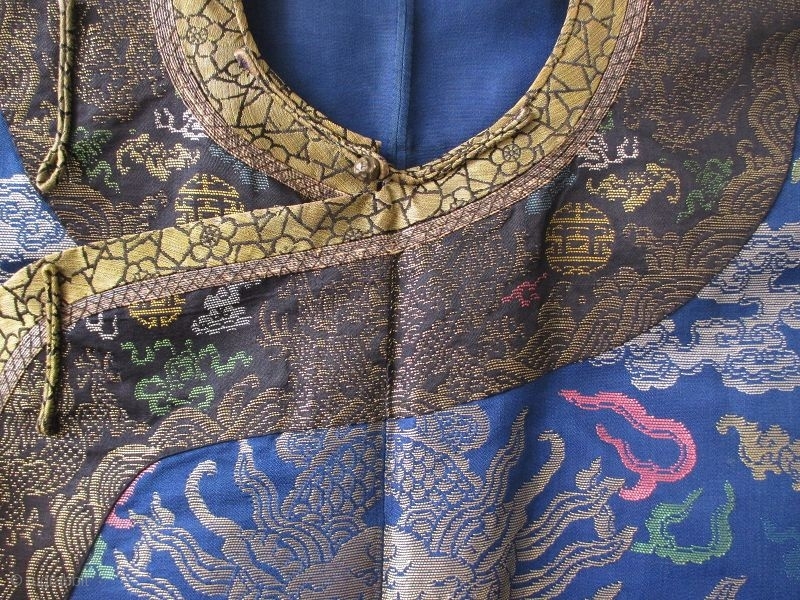 Yellow was considered to be the most auspicious shade, and was reserved for the royal family. 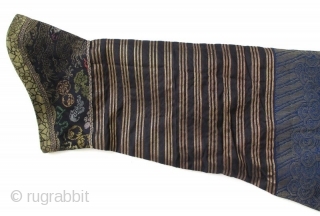 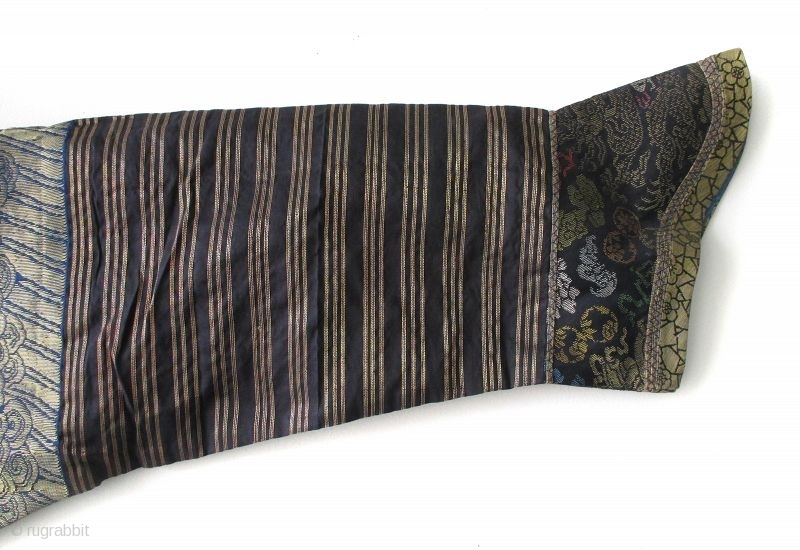 Minor princes or noblemen were permitted to wear blue (the Qing dynasty’s official colour) or brown, while blue-black fabric indicated the wearer was a court official.